Appointment In London (Philip Leacock, 1953: Region 2 DVD) Philip Leacock is probably better known for his 1962 film starring Steve McQueen, The War Lover, than for this similar but better depiction of bomber-flying in World War Two. His best film was a gem called The Little Kidnappers, about the harsh lives of two small boys in a remote Nova Scotia community at the turn of the century made the same year as Appointment, and he ended his career with three decades of television work. 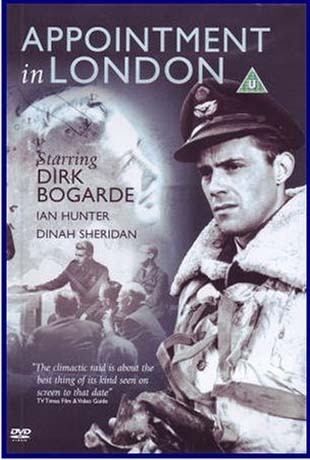 His best films had a kind of documentary naturalism and that approach works well in this story of a wing commander in charge of a Lancaster squadron towards the end of the war. Dirk Bogarde’s Tim Mason is approaching his 90th mission and his superiors feel that it’s risky to keep him flying; but he’s a calm professional, not a quivering neurotic or a dangerous grandstander like McQueen’s Buzz Rickson in the later film. Driven by a personal need to complete that 90th mission, he disobeys direct orders and flies in a big raid which comprises the last third of the film. This is an impressive sequence which shows Mason and his crew doing their job in increasingly dangerous circumstances – anti-aircraft fire from below, enemy fighters from above. An excellent, low key study of the ways in which these men coped with living in extreme danger. 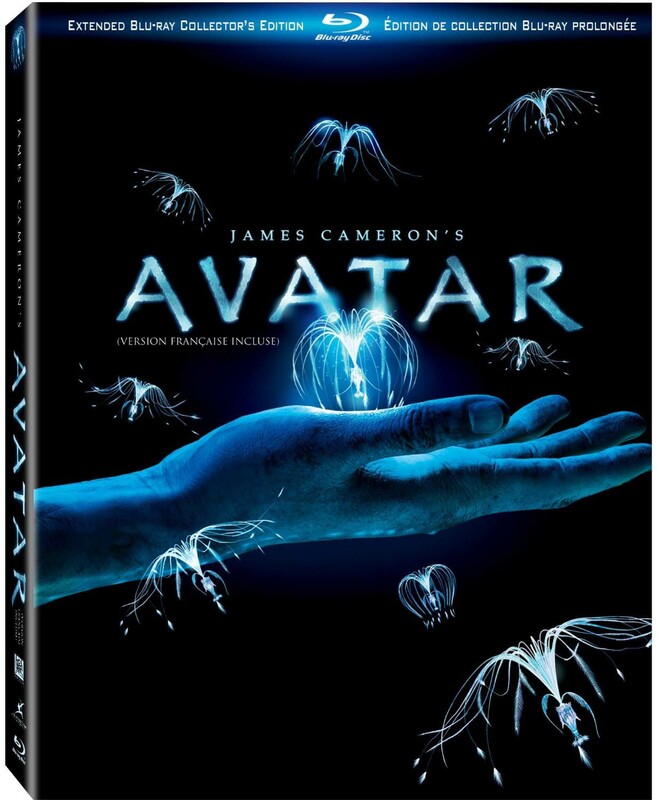 Avatar (James Cameron, 2009: 3-disk Blu-Ray extended edition) There are obvious “issues” with Cameron’s blockbuster – his usual ham-handed dialogue, the ideological underpinnings with once again a foreign culture needing a heroic white male hero to save it (from white male villains, of course) – and I initially went to see it with low expectations. The Terminator, Aliens and to some degree The Abyss are great pieces of techno/action filmmaking, but Titanic was unbearable, from the embarrassingly juvenile script to the very unconvincing CG imagery – and from Avatar‘s pre-release barrage of publicity it was obvious that Cameron was determined to out-do that earlier box-office success. So I was surprised to find myself caught up in his rousing adventure story (very efficiently constructed) and completely grabbed by the rich detail of his 3-D world. But even as I watched it on the big screen I suspected that it was that third dimension which made all the difference, that the movie wouldn’t have nearly the same impact when seen flat, and even less so on a small screen. And while it’s true that without the 3-D a lot of the visuals take on a far more cartoonish look, watching the longer version on Blu-Ray I found myself enjoying the adventure as much on the small screen as I did in the theatre. Some of the new material works well (particularly the two scenes focused on Grace’s school), but the new opening on Earth seems completely unnecessary, diminishing rather than expanding our introduction to Jake Sully. 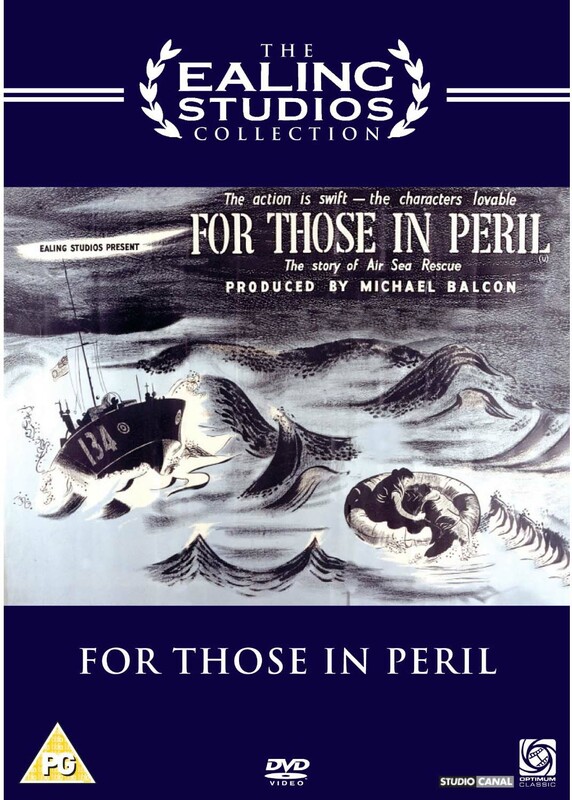 For Those In Peril (Charles Crichton, 1944: R2 DVD) Charles Crichton is probably best known for The Lavender Hill Mob (1952) and A Fish Called Wanda (1988). He started his career in the early ’30s as an editor for Alexander Korda on films as varied as Sanders of the River (1935), Things to Come (1936) and The Thief of Bagdad (1940) and started directing for Ealing Studios with this modest propaganda effort in 1944. David Farrar (The Small Back Room, 1949), commander of an RAF Air Sea Rescue launch in the English Channel, has to deal with a cynical new crewmember who is bitter about being assigned to the boats rather than flying missions over Germany. When a bomber crew ditches off the coast of France, the launch has to make it through fog, a mine field and enemy fire from a nearby ship and the French shore in order to bring the downed men back alive. There are sacrifices along the way and the new man learns the value of his assignment. This was the only time Crichton’s work shows the influence of the British documentary movement, although he did make another excellent wartime film in Against the Wind (1948), about exiled Europeans being trained and sent back into the occupied continent to sabotage German efforts. Crichton went on to an uneven career, directing what some consider the first of the classic Ealing comedies, Hue & Cry (1947), which actually isn’t really a comedy at all but rather a kids’ adventure film along the lines of Emil & the Detectives; contributing a segment to the classic Dead of Night (1945); making the odd, unsuccessful thriller The Third Secret (1964), notable for some very nice widescreen black-and-white cinematography; and, from the late ’50s on, devoting most of his time to television work until his very brief comeback with A Fish Called Wanda, which was his final work as a director. 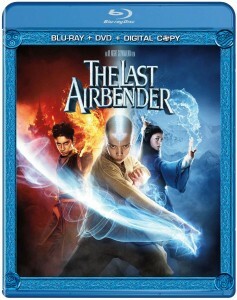 The Last Airbender (M. Night Shyamalan, 2010: Blu-Ray) I’ve long been puzzled by the vitriol which gets spewed over every new release by Shyamalan. I wasn’t a big fan of The Sixth Sense when it first appeared in 1999, but have enjoyed it since on DVD, and not because of the big twist ending. In fact, to some degree that first instance of the Shyamalan twist seems to have skewed viewer reaction since – either his subsequent work has disappointed because people feel he’s forced a new twist into each project, or they’re expecting a twist which doesn’t materialize … a strange preoccupation which seems to obscure whatever Shyamalan is actually doing. Personally, while I see flaws in his work (and how many filmmakers actually make perfect films? ), I’ve enjoyed all of his movies except for Signs, which despite some good moments seems to me ill-conceived and in need of at least a couple more rewrites. But whatever his weaknesses, why is it that so many people seem to be enraged by each new film, dubbing them all “one of the worst movies ever made”? I honestly can’t say, though I wonder if part of it is due to the fact that Shyamalan is a completely un-ironic director; he presents his view of the world with total sincerity and since there’s an obvious spiritual underpinning, this causes some viewers embarrassment. The absence of irony is generally taken as a sign of naivete and a lot of people are reluctant to allow themselves to appear naive, so they overreact defensively. Anyway, I found The Last Airbender to be an enjoyable, well-designed fantasy-adventure at least as good as the first Narnia movie. A lot of the negative press it received revolved around the lousy fake 3-D, but that’s hardly a fair criticism of Shyamalan or the film: I went to a 2-D screening when it opened and could immediately see why it wouldn’t work in 3-D – Shyamalan’s framing and use of depth-of-field (often very shallow) would obviously result in a murky mess in that format. But that has nothing to do with the quality of the film itself, only with the bone-headed executives who seem to be determined to turn everything in sight into 3-D whether there’s any point or not. 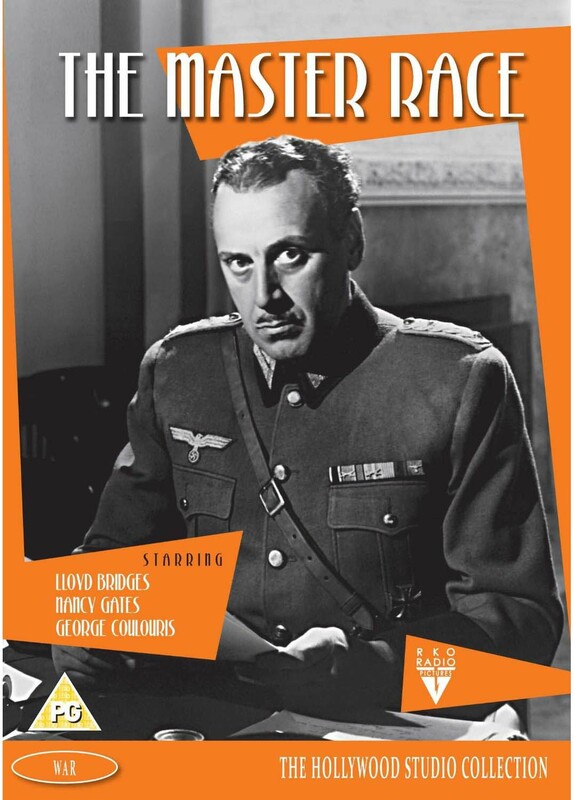 The Master Race (Herbert J. Biberman, 1944: region 2 DVD) Herbert J. Biberman was, of course, one of the Hollywood Ten, that group of writers, directors and producers who went to jail for refusing to testify before the House Committee on Un-American Activities. Much less prolific than other blacklistees like Dalton Trumbo, Ring Lardner Jr and Edward Dmytryk, he is now best known for his film about striking Mexican-American mineworkers, Salt of the Earth (1954). The Master Race, made ten years earlier, probably contributed to his problems with HUAC because of its plea for post-war cooperation and the favourable depiction of a Russian character. Made the year before the war ended, it depicts a Europe left in ruins by the Nazis, trying to piece itself back together again with the aid of the Allies. But unknown to the inhabitants of a small Belgian town, the supposed son of the community’s most prominent family, returned from fighting in the resistance, is actually an imposter, one of many high-ranking Nazis scattered over the continent whose aims are to disrupt recovery, cause conflict and dissension, and pave the way for the Fourth Reich. 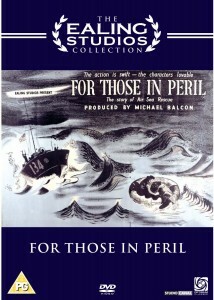 Shot on studio backlots, featuring a cast which includes a young Lloyd Bridges and George Coulouris as the Nazi, it is openly didactic in its advocacy of international cooperation, but still works as a drama similar to Renoir’s This Land Is Mine, attempting to give audiences on the American home front some idea of what the war was like for those caught in the middle of it. Millions Like Us (Frank Launder & Sidney Gilliat, 1943: R2 DVD) Launder & Gilliat are best known for the script of Hitchcock’s The Lady Vanishes, but together and separately, they wrote and/or directed an enormous number of films in a wide range of genres (in 1946, each made a distinctive thriller – Gilliat’s Green For Danger, with Alastair Sim investigating a death in a hospital as Hitler’s V-bombs fall around the city; and Launder’s I See A Dark Stranger, with Deborah Kerr as a bitter Irish woman who becomes a Nazi spy). 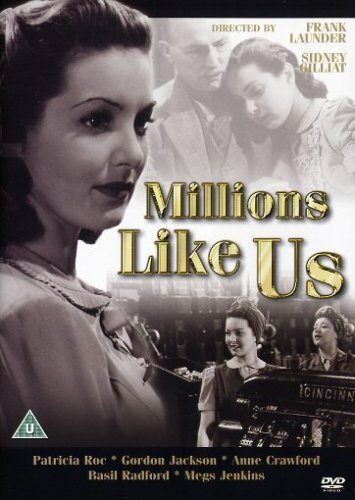 But Millions Like Us is a story of ordinary people, a lower middle class family getting through the war. It begins with a crowded, fractious holiday by the sea just before the war starts, the ageing father, the son, his wife and children, two sisters, all bickering in the familiar way of a family used to living crowded in close proximity. But with the arrival of the war, they scatter. The son goes overseas, his wife resuming the job she used to have; the elder daughter goes into the Army Transport Service as a driver; the dad joins the Home Guard; and the younger daughter (the luminous Patricia Roc) becomes a factory worker. 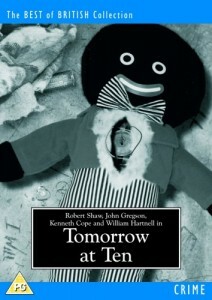 For the most part, the film follows this character as she leaves home, gradually becoming more independent as she finds herself in a new, supportive community of women workers, and beginning a tentative romance with a shy young airman … Made with Launder & Gilliat’s usual humour, this is a finely observed portrait of the time, the only false note being the introduction of Charters and Caldicott, the buffoonish pair who first put in an appearance in The Lady Vanishes and showed up in three subsequent films, this being the last; as a pair of officers in charge of mining the beaches, they remain disconnected from the rest of the film and seem like a distraction. Morgiana (Juraj Herz, 1972: R2 DVD) I haven’t gotten around to this one yet, but I bought it because it’s a Second Run release and because I admire two other films that I’ve seen by Herz, The Cremator (1969) and The Virgin and the Monster (1978). The latter was one of my favorites when I first saw it at the 1981 Hong Kong International Film Festival, a rich, dark fairy tale which restored some of the menace to the story of Beauty & the Beast. 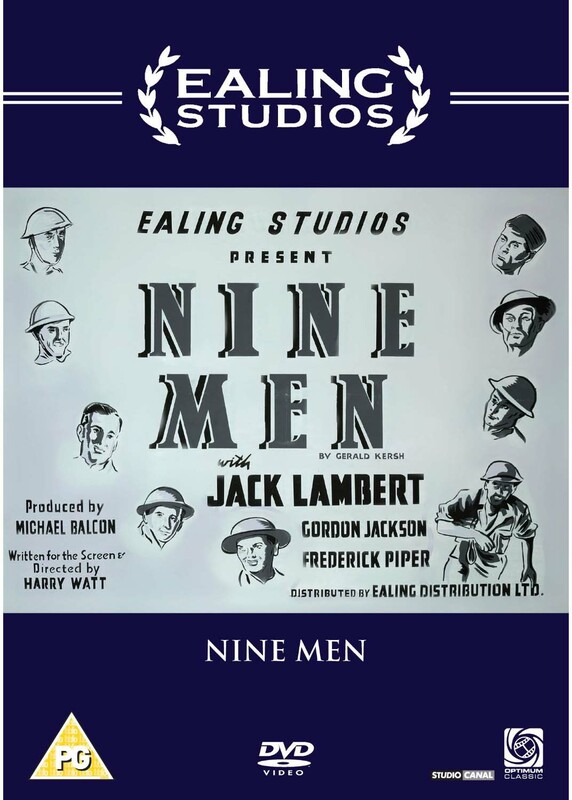 Nine Men (Harry Watt, 1943: R2 DVD) In 1943, after such notable documentaries as Night Mail (1936, co-directed with Basil Wright), London Can Take It! (1940, co-directed with the great Humphrey Jennings) and Target For Tonight (1941), filmmaker Harry Watt turned to drama with this short Ealing propaganda feature. Beginning with a group of raw recruits complaining about their training, the bulk of the film is taken up with their drill sergeant’s account of his experience in the North African desert. When his unit gets left behind and the officer is killed, the sergeant has to take charge and get his men through alive. They hold up in a tomb and face off against a much larger force of Italians, but his leadership and their training keep the enemy at bay for two days before a relief column arrives. Nine Men is a tight, no-nonsense little movie, notable for the fact that it was shot among some dunes on the coast of South Wales. 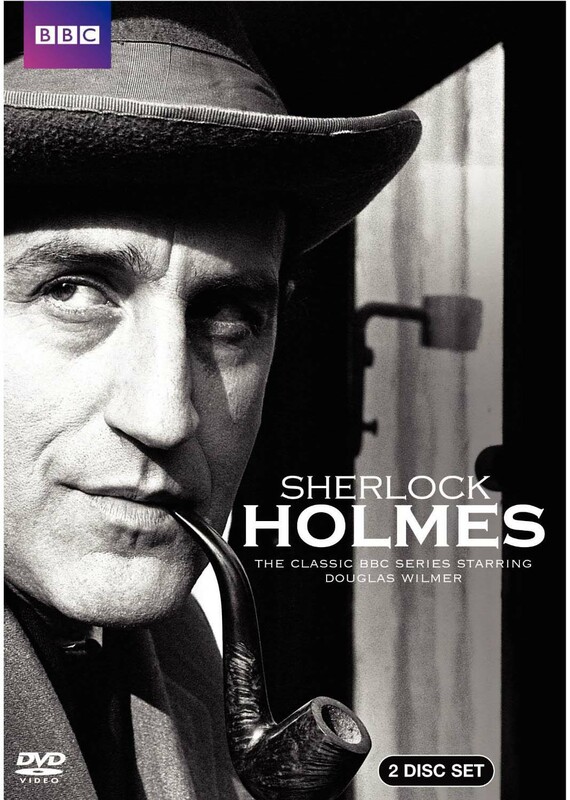 Sherlock Holmes (Peter Sasdy et al., 1964-65: R1 DVD) I think as a rule the first Sherlock Holmes one encounters in childhood becomes one’s “definitive” Holmes. I didn’t see any of the Basil Rathbone movies until I was quite a bit older, but I saw this BBC series when it was first aired, which would have been around the age of 10. For me, Douglas Wilmer defined Holmes – he even looked just like Paget’s original illustrations for the stories. Over the years, I’ve periodically checked to see if this series was available, but it seemed to be the lost stepchild in the Holmes canon, so I got pretty excited when it turned up on the shelf at Best Buy this week. There’s always a moment when you get a chance to see again something that’s stuck with you since childhood, a trepidation about risking those memories by discovering that the thing just no longer holds up. I was very happy recently to see the new DVD of Crack In the World, which had impressed me in 1965, and found that it holds up very well as one of the most intelligent science fiction movies of the ’60s (not as good as These Are the Damned or The Day the Earth Caught Fire, perhaps, but certainly in their neighbourhood). So I braced myself as I put the first disk in my player and the pilot episode, “The Speckled Band”, began. Rather slow of course, and technically rough (it appeared to be a kinescope shot off a particularly dirty screen), but really just the way I remembered – atmospheric, quite densely art directed (again like the original illustrations) and Wilmer is still the Holmes I see in my mind’s eye, low-key, intelligent, with a distinct sense of almost playful pleasure at the prospect of a mystery to solve. Nigel Stock’s Watson is also one of the finest, giving Holmes’ sidekick far more intelligence and competence than the better know Nigel Bruce who played the character as a blustering buffoon in order to make Rathbone look his best. I’ve only watched a couple of episodes so far, but I’m happy to have become reacquainted with the series after 45 years. Tomorrow At Ten (Lance Comfort, 1962: region 2 DVD) Lance Comfort was by no means a major director, but he did occasionally do interesting work. His Daughter of Darkness (1948), recently released on DVD, is a genuine oddity rife with atmosphere if not narrative coherence. This tight little B-movie from 1962 might well be his best work. Robert Shaw is terrific as a chillingly self-assured kidnapper who locks his victim, a young boy, in a room in a remote house with a stuffed toy which conceals a time bomb. He brazenly drives up to the father’s house and insists on being given fifty-thousand pounds; he’ll fly to Rio and phone back with the boy’s location before the bomb explodes at ten the next morning. Much of the film is a duel of wits between the criminal and a police inspector called in by the boy’s nanny, with things taking a turn for the worse when the father gets angry and puts the man into a coma. One of the great things about DVD is its power to resurrect unimportant little movies which turn out to offer greater pleasures than many a more famous production. Die Unerzogenen (The Unpolished) (Pia Marais, 2006: R2 DVD) I didn’t know anything about this German film before I ordered it from Amazon; I was tempted by the little I read in an announcement of its release and by the fact that it was being brought out by Second Run, one of the best producers of interesting DVDs in Britain. This is a strange, disturbing, quite beautiful film about childhood and the formation of identity. Fourteen-year-old Stevie is cursed with irresponsible, immature parents, her father having just been released from prison, both of them drug users, surrounded by equally irresponsible friends. Provided with no sense of structure, no boundaries, Stevie has to take control for herself; she steals photographs and a diary from strangers and invents an alternate life in which her parents are overseas doing important work; she has to enrol herself in a school; she tries out her burgeoning sexual feelings on one of her parents’ friends; and ultimately, she has to leave her family behind … the film ends with her heading off by herself, unsure of where she is going. Shot with an easy naturalism, Marais’ debut feature is anchored by a remarkable performance from 14-year-old Ceci Chuh, a girl whose impassive features are richly expressive. Van Diemen’s Land (Jonathan auf der Heide, 2009: R2 DVD) Although beautifully photographed on breath-taking Tasmanian locations, this period adventure based on an actual incident from the 1820s never quite gels. 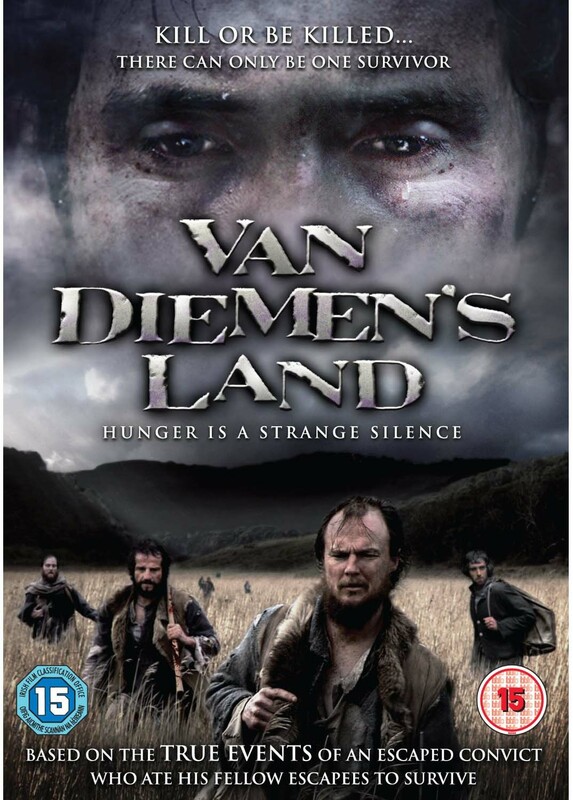 A group of convicts make a break for it and end up wandering through the dense, inhospitable forest where there is virtually nothing to eat. Eventually they start killing each other for food. Neither a black comedy like Antonia Bird’s seriously under-rated Ravenous (1999), nor an all-out horror film, auf der Heide’s film is elegant but stubbornly uninvolving. We never get to know the characters and so are kept at a distance, watching events unfold with no sense of urgency. Though it’s visually reminiscent of Aguirre and Fitzcaraldo, it never engages with the landscape the way Herzog’s films do and in the end we’re left wondering why the story is being told. Zulu (Cy Endfield, 1964: region-free Blu-Ray) I would have been ten when I first saw this epic adventure film. It left a vivid impression. I’ve seen it several times since, on television, and more recently on undistinguished DVDs. This Blu-Ray from England took my breath away with the richness of its colours, the clarity of its images, and it was like seeing it again for the first time. Stanley Baker was one of the greatest of all British (actually Welsh, of course) film actors. 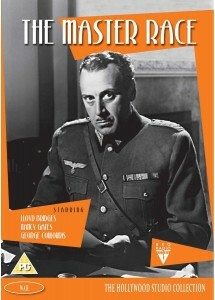 His work ranges from several films for Joseph Losey, including the chilly Accident (1967), to a couple of Val Guest’s finest films – the harsh Hammer war story Yesterday’s Enemy (1959), which is very effective even though the studio jungle sets are not entirely convincing as Japanese-occupied South-East Asia, and the great, gritty police drama Hell Is A City (1960). Wanting to take control of his career, Baker formed a partnership with director Cy Endfield in the early ’60s. They had worked together before on Hell Drivers (1957), an incredibly intense piece about – believe it or not – gravel truck drivers. For the subject of the inaugural production of Diamond Films, they decided on the battle of Rorke’s Drift, a true story from South Africa in 1879 in which a small company of colonial soldiers (mostly Welsh) held out for two days against a force of 4000 Zulu warriors who had just massacred a column of 1200 British soldiers and their African bearers. 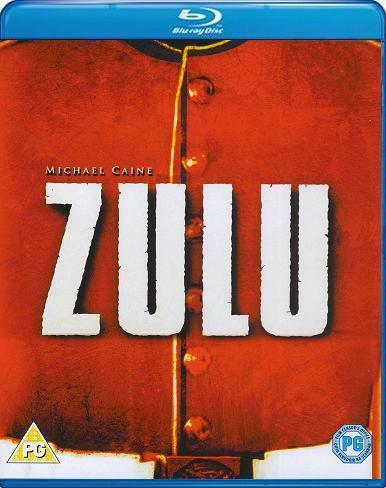 This was a tricky project because a) they were filming in South Africa under apartheid (their interactions with the Zulus were strictly monitored and the government feared that the film would show blacks in a positive light) and b) the events constituted one of those great colonial signposts pointing to European superiority. In the event, the film very skillfully treads the line between rousing colonial adventure and a scathing critique of the same. It becomes a dissection of class and nationalism among the defenders and a study of opposing tactics between two skilled warriors: Baker’s engineer Lieutenant Chard and the Zulu chief Cetewayo, played by then Chief Mangosuthu Buthelezi. Endfield directs the action with documentary precision and draws excellent performances from his large cast, including a young Michael Caine playing an upper class twit who’s out of his depth. 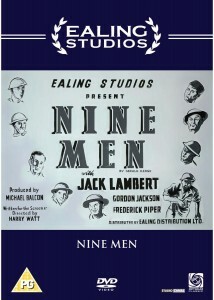 This entry was posted in Review and tagged British Film, British Television, Charles Crichton, Cy Endfield, DVD, Ealing, Frank Launder, Harry Watt, Hollywood blacklist, James Cameron, Juraj Herz, Lance Comfort, M. Night Shyamalan, Philip Leacock, Robert Shaw, Sherlock Holmes, Sidney Gilliat, Stanley Baker. Bookmark the permalink. I think movie critic is what you should be doing for a living.